AARP has announced a plethora of additional presenters and honorees for their Movies For Grownups Awards. 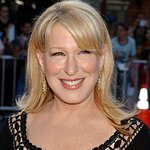 Legendary performer Bette Midler, Award-winning actor Mark Ruffalo, Academy Award-winning actress Jane Fonda, actress Rachel McAdams, Academy Award-winning actor Lou Gossett Jr, the original Apollo Creed, Carl Weathers, up-and-coming director Ryan Coogler, Joy Mangano herself and Boston Globe reporter Ben Bradlee Jr. will join host Kathy Griffin to celebrate 2015’s standout filmmakers, actors, actresses and movies with unique relevance for the 50-plus audience. The awards will raise funds for AARP Foundation, AARP’s affiliated charity, which works in communities across the nation to help struggling older adults meet their basic need for nutritious food, safe and affordable housing, adequate income, and strong, sustaining social bonds. Sponsored by AARP Credit Cards from Chase, proceeds from this year’s Movies for Grownups event will support AARP Foundation’s work in the Los Angeles area to create and advance effective solutions to help struggling people 50 and older secure the essentials. 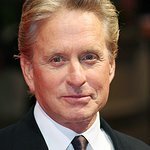 Also attending the awards show on Feb. 8 in Los Angeles are Michael Douglas (Career Achievement Award), Catherine Zeta Jones, Lily Tomlin (Best Actress-Grandma), Bryan Cranston (Best Actor-Trumbo), Diane Ladd (Best Supporting Actress-Joy), Tom McCarthy (Best Picture- Spotlight), Mark Ruffalo (Best Picture- Spotlight), Ridley Scott (Best Director-The Martian), David O. Russell (Best Screenwriter-Joy), Nancy Meyers (Best Comedy-The Intern), Morgan Freeman (Best Grownup Love Story-5 Flights Up), Patricia Clarkson (Best Buddy Picture-Learning to Drive), Irwin Winkler (Best Intergenerational-Creed), Phylicia Rashad (Best Intergenerational-Creed), Bill Pohlad (Best Time Capsule-Love & Mercy), Pete Docter and Jonas Rivera (Best Movie for Grownups Who Refuse to Grow Up-Inside Out) and committee members Sherry Lansing, Rob Friedman, Ed Begley Jr., June Squibb, Robert Forster, Ed Asner, Sid and Nancy Hult Ganis, and Ken Scherer.